Some people hate the term “influencer marketing.” Dress it however you like, but building relationships with world-class bloggers, organizational leaders, and public figures works. It allows you to capture a wider audience and build new business opportunities. According to AdWeek, 92 percent of consumers trust recommendations from their friends and family over branded advertising or content. The problem is, so many people are shouting for the attention of established influencers, it’s hard to cut through the noise. Everyone wants their attention. How do you engage with influential thought and organizational leaders in noisy markets? 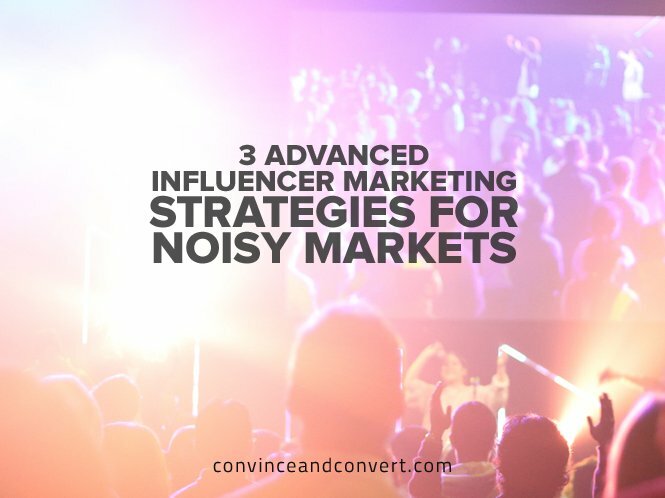 Here are three advanced techniques that will increase the performance of your influencer marketing efforts. It’s a slow game, but going the extra mile demonstrates your desire to add value. Laying the groundwork before executing on tactics is the most important first step to influencer marketing. It’s also the step that many marketers skip. The outreach may engage them, but the results are often disappointing. This is because proper research was ignored, and the wrong influencers were targeted in the first place. So how do you find the right influencers to target? Start by focusing on the audience you want to target, rather than the influencers themselves. Your goal might be content distribution or business development efforts. It doesn’t matter as long as your goals align with the needs of the influencer audience. To get this right, it’s important to adopt a data-driven approach. There are a couple of tools we can use for this. 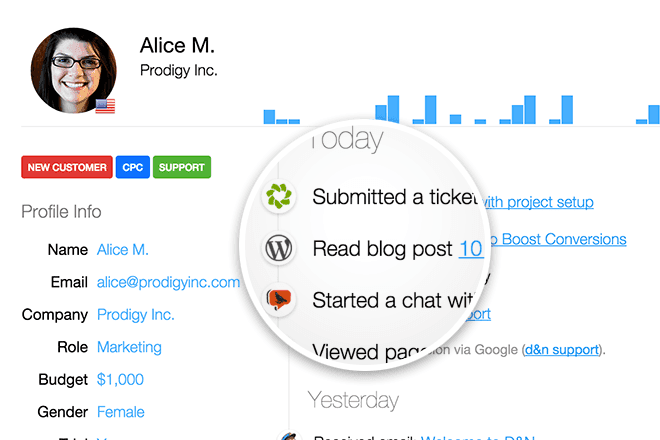 First, there’s Woopra, a customer intelligence platform. Woopra takes customer and visitor data from your website and gives you granular information on them. Using this data, you can build a profile of the customers, users, and visitors from your website who are most engaged to find more of them. Use this to map out your target influencer audiences. 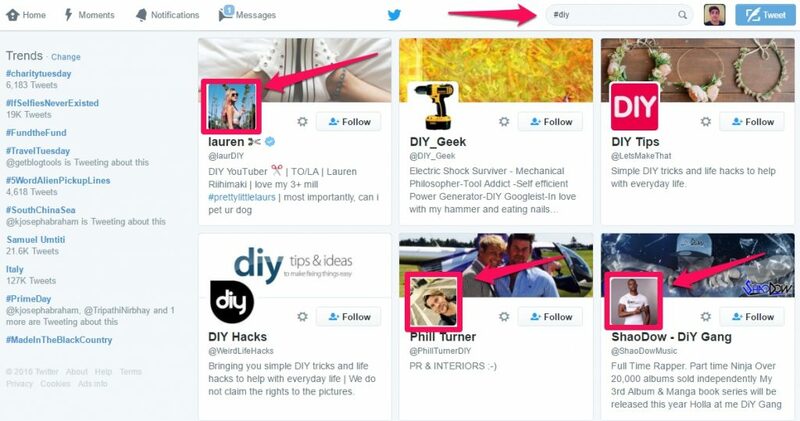 This makes it easier to find influencers who have access to this audience. Remember that an approach like this requires a manual effort as well as automated tools. Use Twitter hashtags to find those who contribute to conversations around relevant topics. Google Alerts and Mention are also useful when monitoring social media and online communities. BuzzSumo and EpicBeat can be used to search for the most popular content around a keyword to discover top sharers. 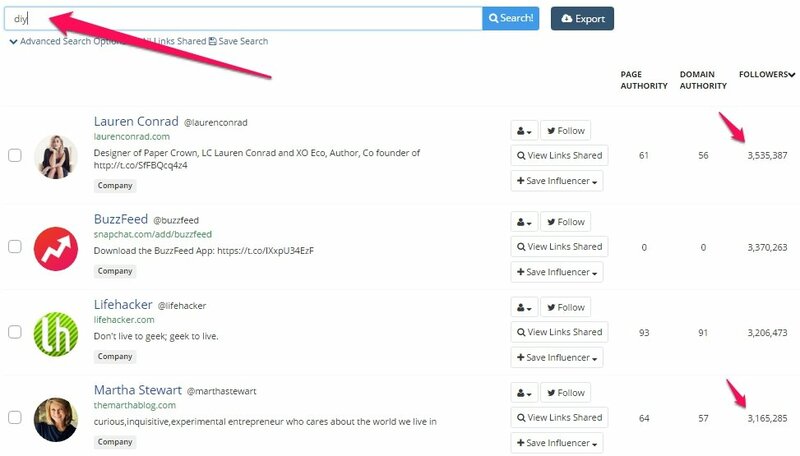 Use the Influencers feature in BuzzSumo to reveal potential targets based on a certain keyword. Finding the right audiences is a key first step to influencer marketing. Reverse engineering the audience before identifying influencers is the best way to approach this challenge. Now that you understand who you’re targeting, it’s time to reach out to them and get on their radar. When top marketers report their findings on certain approaches, they’re adopted by many marketers at once. As a result, these structured and systematic approaches quickly become saturated. This is exactly what has happened with influencer marketing over the last 18 months. Marketers have been applying similar approaches to a formula, all while forgetting one of the most important elements of marketing: empathy. Templates are doled out quickly become less effective, causing misguided marketers to come across as misleading and dishonest. The message is simple: If you use the same approach as everyone else, you’re going to get ignored. Forget about the one-size-fits-all approach. Instead, focus on the influencers you’re aiming to connect with on an individual level. For example, one influencer may be a blogger, and another may engage in various communities. Is it smart to engage with them both on Twitter in the same manner? Instead, try sharing and commenting on their content and engage with the conversations the contribute to. It really comes down to two elements: channel and context. Start by finding out where their attention is, then use those platforms in the context those influencers use them in. Do this in a way that adds value. This context will also inform the forms of content you should use to engage them with. Analyze the content they are sharing with their audience and provide them with more of that. Keep an eye out for any conferences of events that your target influencers are heading to. This approach goes beyond just digital channels. When doing this, engage before the event via email or social. Offering someone a coffee while they’re in the same place is a hard offer to refuse. The final ingredient here is authenticity. Don’t try to be authentic. Join a conversation only if it makes sense to do so. If you have nothing to contribute, then don’t do it. Stick to what you know, and don’t chime in when you lack knowledge expertise in a particular topic. It’s not worth being called out on! We talk a lot about “adding value,” but the term is becoming more and more nebulous, often limited to comments, tweets, and shares. These have their place, but we can do better. In order to truly delight with your influencer marketing activity, you must think outside of the box. These methods are why I tell other marketers to focus on a small cohort of influencers at a time. It requires manual effort and a sharp attention to detail. These are the techniques that will really help you really stand out from the crowd. They go beyond mere shares, comments, and tweets. They boil down to two things: personal desires and professional goals. By now you should be monitoring your target influencers closely. You’ve discovered a lot about them, from what they love in life to the activities they’re executing in business. This knowledge gives you the power to surprise and delight them in a way that demonstrates authenticity. Let’s start with guest blogging. Influencers are usually either promoting their products and services or pushing out their own content—they may even be executing on a product launch. Whatever they’re doing, a mention on a reputable publication or blog will be appreciated. They’re already busy enough with their work. Mentioning them in content that helps them get their message to a wider audience will serve them and speed up the engagement process. Relationships are built one-to-one. Getting to the “intimacy” stage of relationship building requires going deeper. While it’s great to pay attention to your target influencers’ business goals, they’re also passionate about other things in their personal lives, too. Let’s say Gary Vaynerchuk is on your list of target influencers. If you really pay attention to what he’s doing, you’ll notice he’s a Nike fanatic. There are endless ways you can use this knowledge to get his attention. A coupon code for an online footwear store so he can get a new pair when the need arises is one easy approach. Or, you could find out his shoe size and send a limited edition pair of Nike trainers straight to his office. These are two extremes. Selecting an approach that goes the extra mile, such as the latter example, will cut through the noise. This is something used often by B2C marketers, but not often done in the B2B world. There’s a lot of opportunity in this approach when dealing with executives. If you’re looking for influencer marketing shortcuts, no amount of techniques or tactics are going to help you. True relationships are built by showing you care. Instead, make sure you’re building mutually beneficial relationships with the right people. When you’re confident with this piece of the puzzle, be super personalized online and in real life. Contribute to their career goals and personal desires. What does your influencer marketing strategy look like? Is there anything I’ve missed? Share your experiences below. Tom Whatley is a digital marketing consultant, helping businesses in all industries to grow using proven, scalable marketing systems. 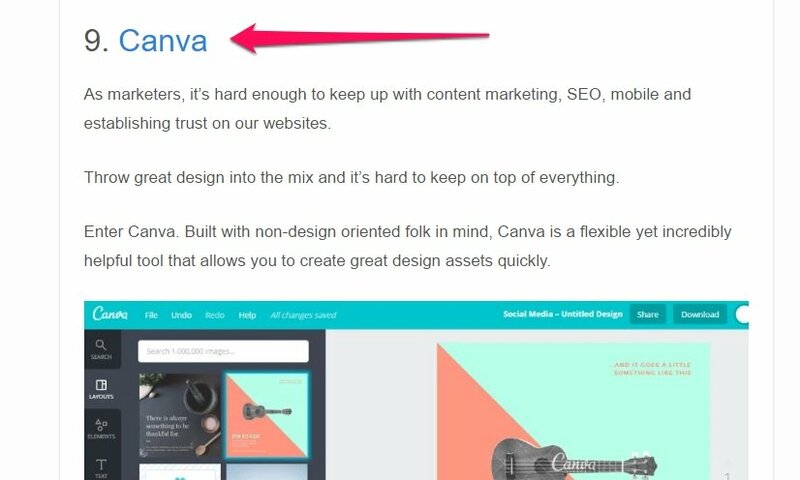 He is currently focusing on Content Marketing and Growth Hacking, teaching his lessons on his blog along the way.